I started running 5 years ago when I was in Law School in Fayetteville. I wanted to set fitness goals for myself. Where do you prefer to run? Do you have a favorite route? I prefer to run outside at a track in El Dorado called the Lion’s Club that wraps around a golf course. 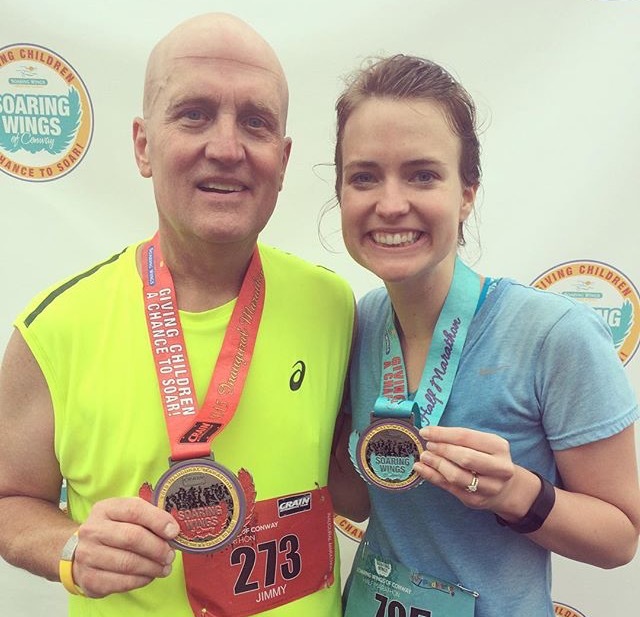 When I completed my first half-marathon in October with my dad (he was running the full), it was a such a great feeling of accomplishment. Find something to take your mind off of running. I always listen to books on tape to make the time go faster. I do not have any race superstitions. I love to run solo…it’s my “me” time. Why do you run the Hogeye? What makes it special? Are you running the Hogeye this year? I’m doing it this year, I signed up to do it so I could run it with my sister-in-law. I’ve never run it before, but I am super excited to be back in Fayetteville.